I’ve been really busy lately. I took the level two Japanese Language Proficiency Test last weekend. 9:45am-2:40pm. Holy crap, that was hard. I have no idea if I passed, but I’ll find out in February. School, meanwhile, has been crazy. To give one example: There is a elementary school next door to my current junior high school. A couple weeks ago, one of our 8th graders brought an air gun to school and shot an elementary school student. Now seriously, that’s not okay. Speaking of the elementary school, it seems that I’ll be teaching classes there every Thursday. I did that last week, which is probably why I’m now sick with the flu. Taking sick leave here is a hassle, by the way. We have twenty days of sick leave, but we can’t just use them as we like. One day of leave requires a receipt from a doctor’s visit or from a pharmacy. For more than one day (like my current case), you need an official, sealed doctor’s note, which costs about $30. What a racket. Upside: I have time to write a post for my poor, neglected blog. The last stop in my big summer trip was in Nagoya, the home of Toyota. I don’t really have much of interest to say though. Well, I don’t want to say nothing, so here’s one thing. 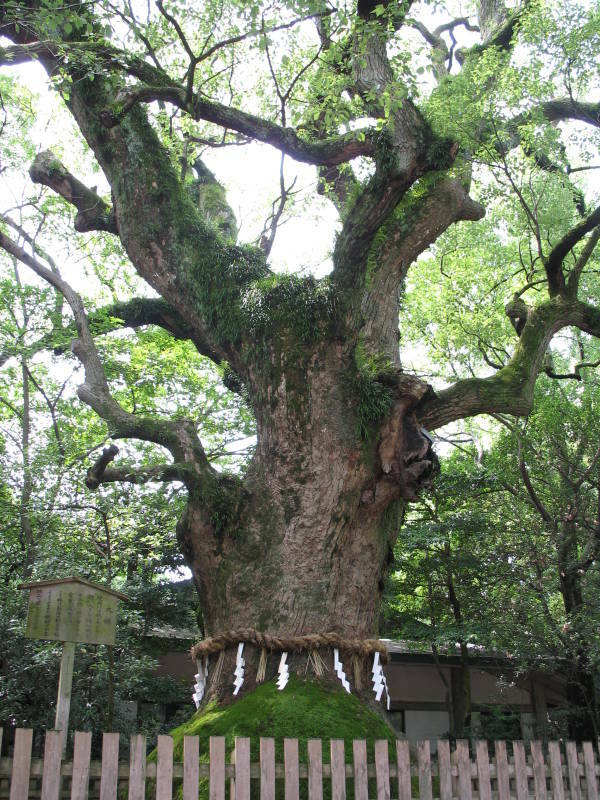 This camphor tree was planted around 1,200 years ago by the monk Kūkai (better known by his posthumous name, Kōbō Daishi), who was the creator of Shingon Buddhism. 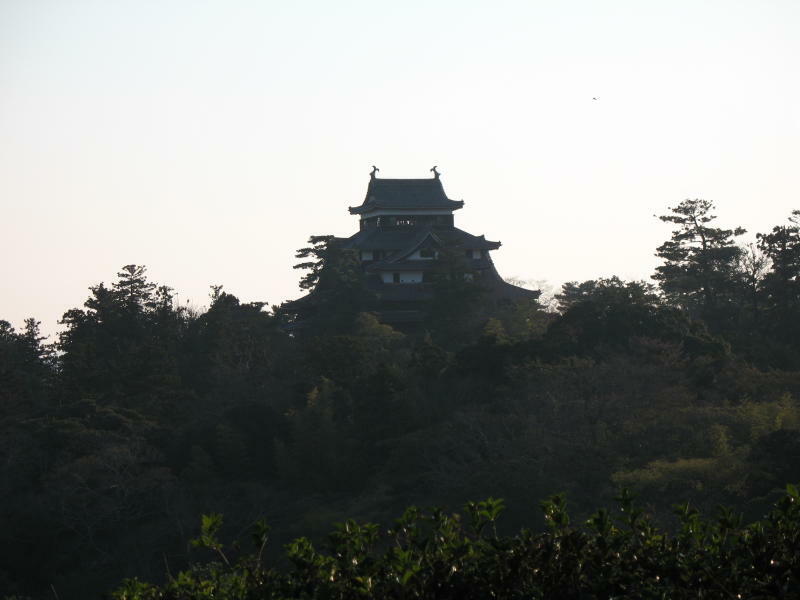 He founded dozens of temples, including one I saw in Fukuoka. This tree isn’t at a temple, though, it’s at Atsuta Shrine, which is said to house the sword that is one of the three imperial regalia. The real sword was probably lost a long time ago, but they have a museum that includes an impressive collection of swords received as offerings. Alright, that’s it for Nagoya. The weekend before last, I made a trip to Matsue, a city near the Sea of Japan (map pilfered from http://www.japan-guide.com). 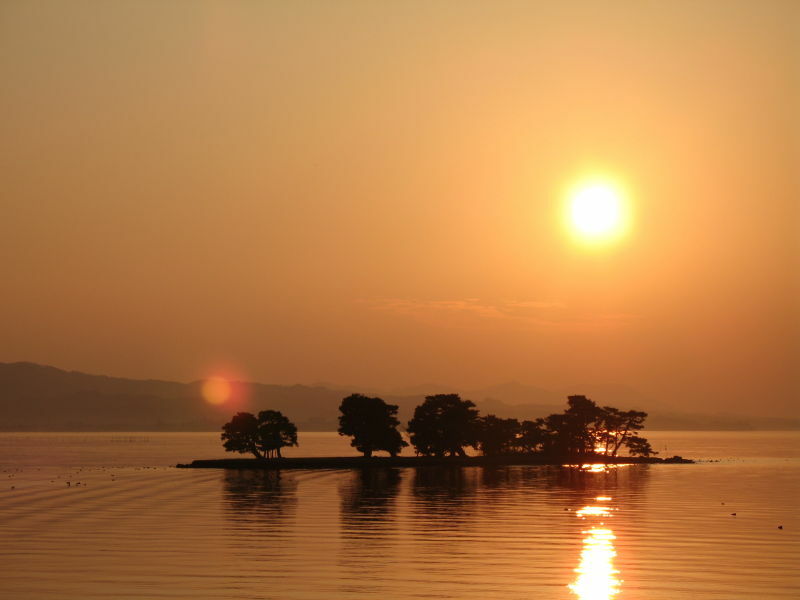 Matsue is a nice place, although a bit short on attractions in and of itself. My reason for making the journey was to see the Adachi Museum of Art and Izumo Grand Shrine, an hour to the east and west, respectively. 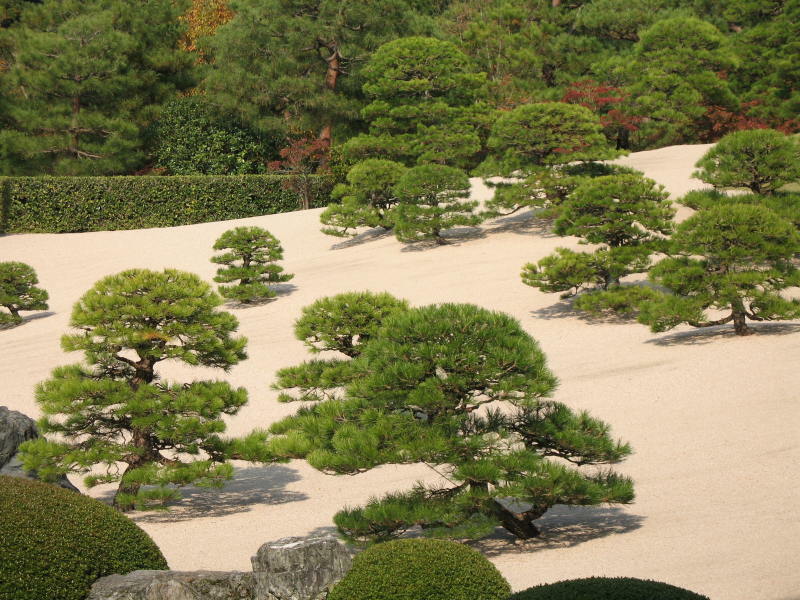 The Adachi Museum was built in 1970 by Adachi Zenko, then 71, a self-made businessman with a large collection of 20th century Japanese art (FYI, the museum’s English website says 1980, but that’s a typo). 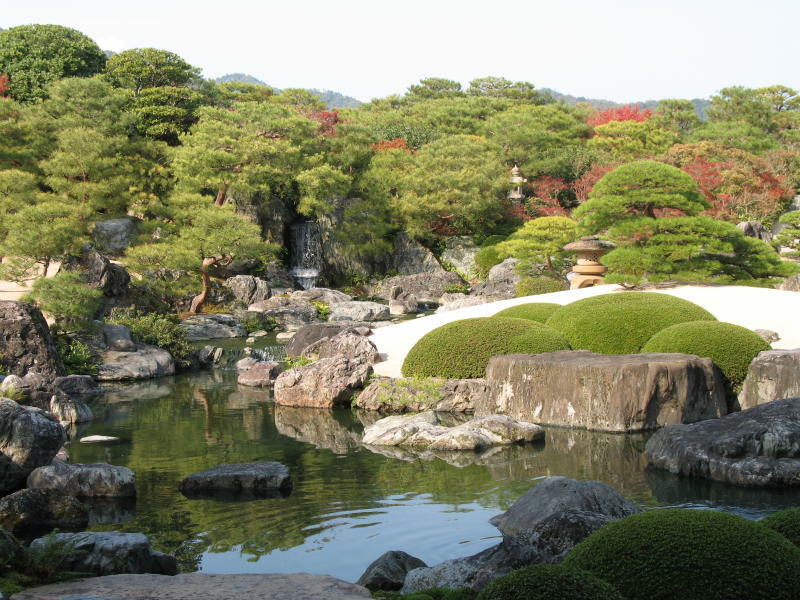 The art is quite good, but the museum is more famous for its garden. 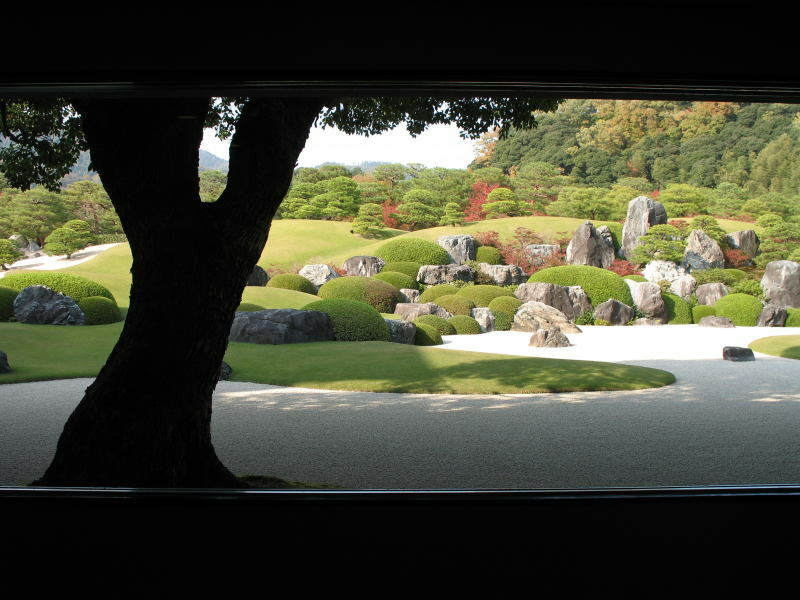 The design of the garden often feels like a painting, and a few windows in the museum explicitly create that effect. The white gravel usually represents water, but this section looked like some strange desert landscape. The museum was my first stop in the area, but when I moved on to Matsue itself, heavy rain moved in, so that was it for the day. The next morning I headed for Izumo. 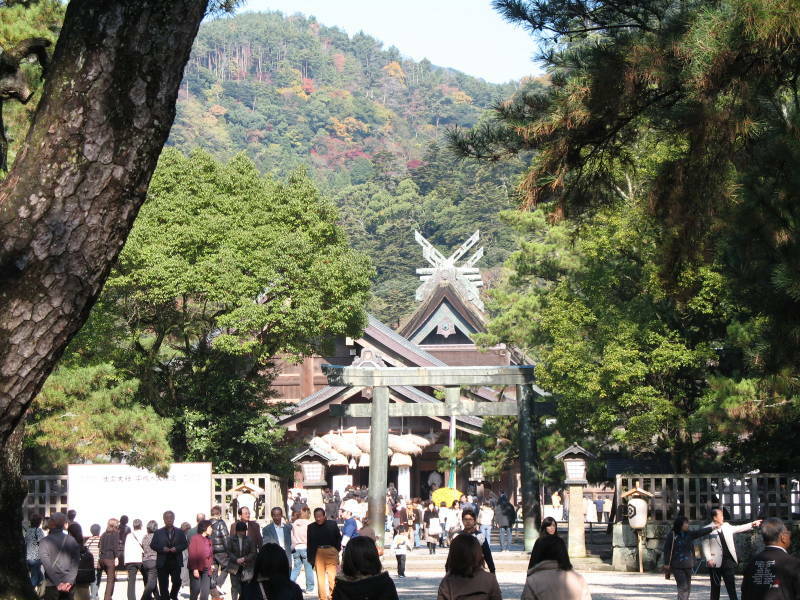 Izumo is known as “the home of the gods” and tradition has it that in October all the gods of Japan gather in Izumo, so for the rest of the country October is the month without gods (except for the god Ebisu, who is deaf and doesn’t hear the summons). 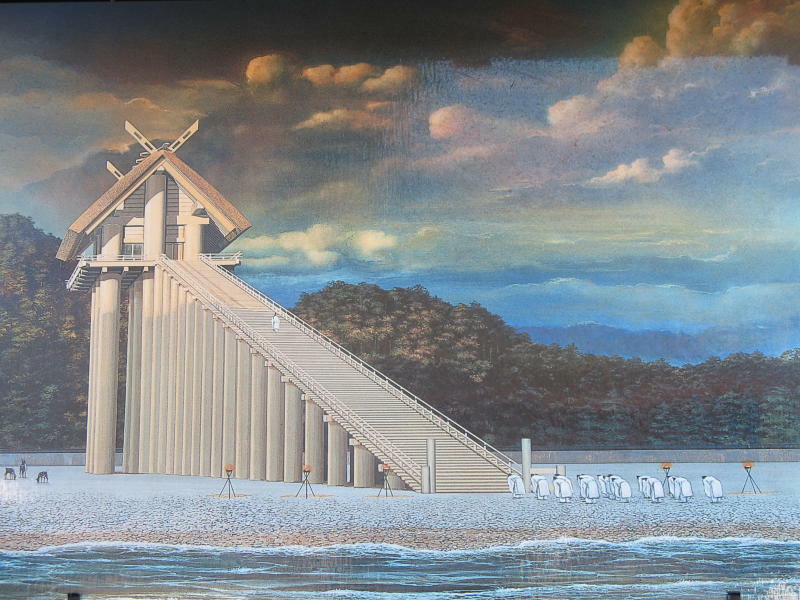 The shrine’s history says that the original main hall was much taller than the current structure and the recent unearthing of the remains of huge pillars supports this. Supposedly it looked something like this. 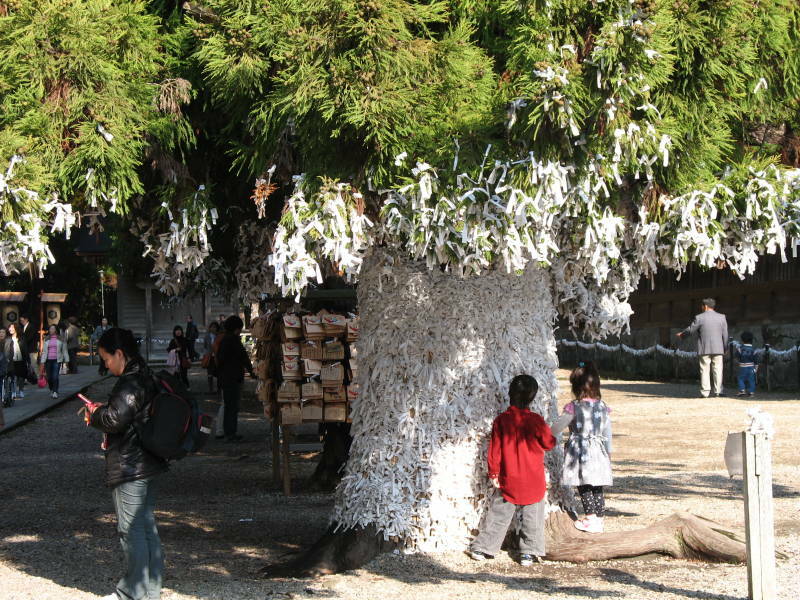 At shrines, you can get “omikuji,” which are slips of paper with your fortune written on them. They don’t predict events, rather they simply say things like “great luck” or “bad luck.” If you get a bad fortune, you are supposed to tie it to a tree. After looking around Izumo, I returned to Matsue. 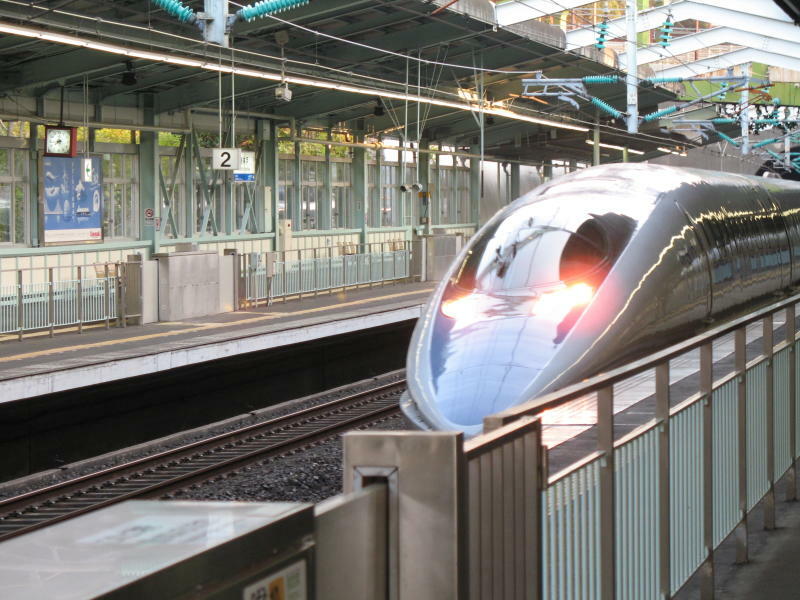 And this is in the wrong place chronologically, but for one last picture, here’s the bullet train arriving in Kobe.